Home Business ethics Why are businesses not gearing up for the post-carbon economy? Governments’ are making great efforts—such as banning oil pipelines and subsidizing unprofitable “green” technologies to avert man-made climate change—to help businesses move to the post-carbon economy. But businesses are not getting on the bandwagon. The few exceptions are those companies whose business model is based on receiving big subsidies from taxpayers. Tesla is the prime example, and to a lesser extent, those companies (such carbon-capturing oil firms) that milk governments’ renewable energy subsidies for the purpose of green virtue signaling as opposed to having subsidies as their core revenue. But as Kevin Libin reports in an excellent Financial Post editorial, the Institute of Corporate Directors’ recent survey showed that Canadian companies have not joined the fight against alleged man-made climate change. Only seven percent of the surveyed directors said that their companies had developed a strategy for climate change and 24 percent more had considered it in their strategic planning. Merely 10 percent of directors identified environment and climate change as a social issue their board had discussed and the respondent believed would have an impact on their company. Human capital issues, regulations, and disruptive technologies ranked much higher among the directors’ concerns. That should not come as a big surprise, as directors are responsible for guiding their companies to create real material values—such as fossil fuels that (still) are the only reliable, abundant and affordable sources of energy, besides nuclear power, and the transportation infrastructure to get them to markets safely and economically. Only by creating real material values that their customers are willing and able to pay for, can companies be profitable and provide return to their shareholders’ investment. Imaginary material values—such as Tesla’s announced new cargo truck dependent on so-far non-existent technology—cannot yield profits (as Tesla’s reported $8,000-a-minute losses show). 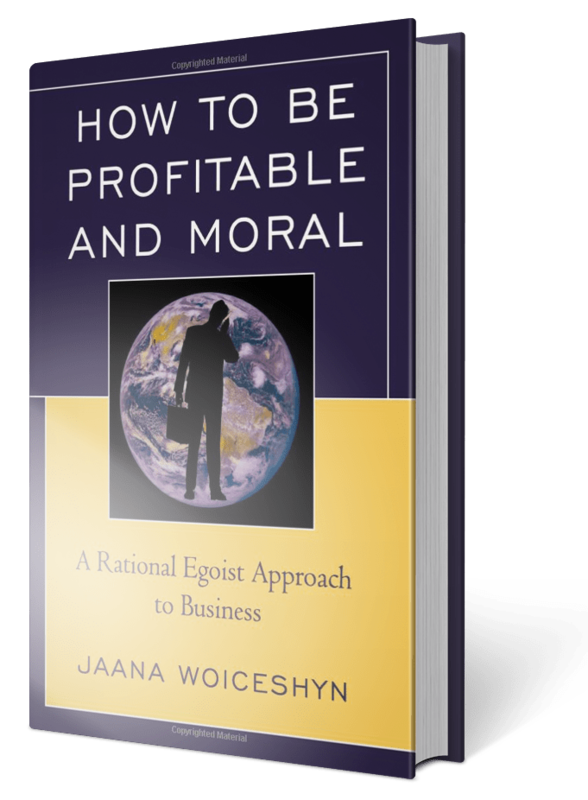 The profit motive is an important driver of human prosperity and flourishing. Without businesses creating real material values and making profit from them, there would not be any prosperity. Without profits, further production and trade of material values would not be possible. Investing part of the profits back into the business enables the development of new, better, and less expensive products, which generates more sales and profits. When part of the profits is returned to the shareholders, they may invest it elsewhere, thus creating new production of other material values by other businesses. Even if the shareholders don’t invest but spend the profits they have earned, increased sales and profits are created for the producers of the goods and services. While businesses pursue profits in the selfish interest of the shareholders, all those with whom they trade—suppliers, customers, and employees—benefit as well, in sales and profits, in goods and services at affordable prices, and in wages. The overall prosperity and flourishing increases. Businesses that create real material values are not gearing up for the post-carbon economy because it is not in their self-interest. Real material values cannot be created and profits cannot be made by abandoning reliable, affordable and abundant sources of energy—the fundamental requirement for material production—and embracing alternative but thus far unreliable and unprofitable energy sources. Therefore—and I agree with Kevin Libin, thankfully—Canadian corporations not joining the government’s anti-climate change crusade. And therefore, there are 1,600 new coal-fired power plants being planned or built within the next year around the world (although not in Canada), many of them using ‘clean coal’ technology. They will replace the heavily subsidized renewable energy projects, which never managed to create a profit—or to provide reliable energy. The evidence for human impact on climate change is far from conclusive, and in any case, carbon dioxide is not a toxic pollutant but essential for plant growth and thus for all life on the planet. We would benefit from more of it, not less. For the sake of human prosperity and flourishing, let us support value-creating, profit-making businesses and protest, through any means available, governments’ coercive moves to abandon carbon-based energy. Previous articleWhy is there racism in business? Next articleAre there right answers in ethics?